Need a rugged plane? If you need to load up some valuable cargo while making sure you’ll have a relaxing flight, the Antonov 26 is your aircraft of choice. With its convertible cabin, this plane was particularly designed for military and civilian purposes. Some operators have set up its interiors where seats may be dismantled, and its space can be further turned into a luggage or cargo area. The Antonov 26 also has a wide range. This aircraft lets you reach as far as Alberta, Utah in the USA or Cancun in Mexico, if you’re coming from Ontario Canada. To make sure you’ll have well-spent and equally enjoyable journey, confirm the facilities of your intended plane with the operator. One standard offer they have would be WiFi, so passengers can stay connected even while in flight. This latest essential feature is particularly vital especially when you’re traveling for business purposes. You can read your email, draft your documents or prepare for a presentation on your upcoming conference. However if you’re traveling for leisure, the plane’s communication features also keeps you connected with friends, family and professional network. The An 26 has a set of interiors which lets you expand your cargo or passenger space. Either way, its cabin is spacious enough to accommodate the needs of its regional passengers. About 50 passenger seats can fit in the plane hence one can imagine how many facilities can be fitted in the aircraft depending on its purpose. Usually, the An 26 has an area for food and drink preparation. The cabin also has a designated area for the lavatory. Its in-flight entertainment has been customized depending on the operator’s initial layout. Since the An 26’s interiors are adjustable and can accommodate luggage inside its very cabin, luggage capacity already forms part of its space equivalence. 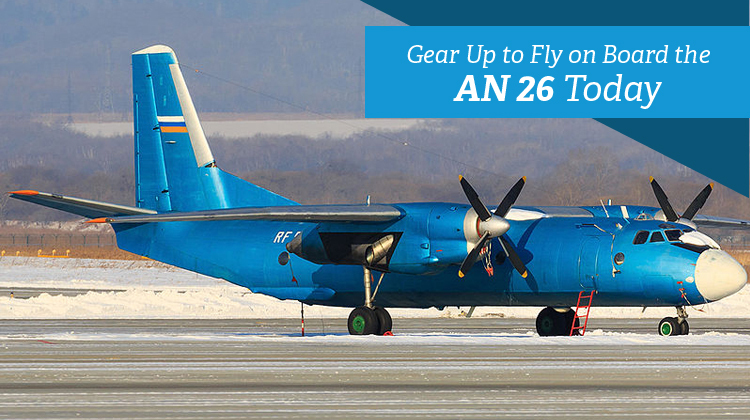 The An 26 is usually powered by two Ivchenko, turboprop engines. Given its military background as a cargo carrier, a lot of passengers find its cabins useful. Operators have blank canvasses with its interiors hence a lot can be done with the space. The plane’s steady and sturdy flying pace can bring you enjoyable flights on the way to your intended location. Performance wise, its smooth glides in the air are a joy to experience. Given your intended location, it’s also advisable for you to confirm the number of passengers you’ll have plus your luggage’s weight with the operator. This way, your flight plan will be better scheduled given the plane’s route, speed and range capacity. 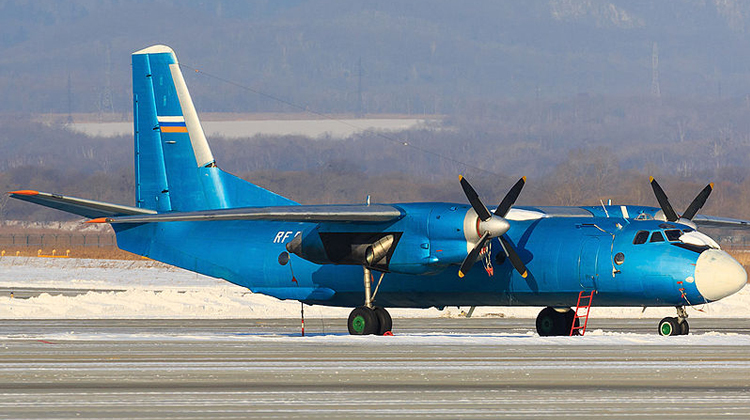 Since its first flight in 1969, the An 26 has had over 1,400 units built and flown all over the world. Batches of its units were initially sold to Aeroflot Airlines, and over 40 variants of this plane were developed for various applications. This plane has been quite useful from weather monitoring, rescue operations, mobile hospitals and up to other forms of surveillance systems.